California voters fully legalized recreational marijuana use for all, with a few caveats. In many instances, the passage of a new law brings a better sense of clarity to an issue than previously existed. One important goal of legislators in enacting criminal statutes is to ensure people know what behavior is proscribed so that they may avoid breaking the law. However, with Proposition 64’s passage by California voters in November, there are some uncertain marijuana legal matters that are yet to be determined. 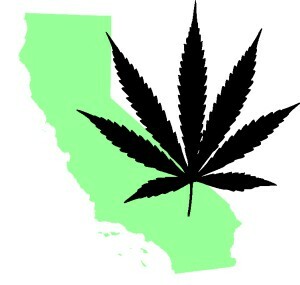 California previously legalized medicinal marijuana use for those who obtain a valid prescription from a doctor. A Prop 215 patient is not subject to the personal use restrictions under the new legalization statute, but a local government can nevertheless impose restrictions on outdoor cultivation. Licenses to produce or sell marijuana for recreational purposes will not be available until 2018. Valid prescription holders can continue to receive marijuana from medical dispensaries and collectives. However, beginning in 2018, an excise tax of 15 percent will be imposed on all state sales, with no exemption for medical users. Additionally, various cities and counties have imposed local taxes that also have no exemptions. Smoking marijuana in a public place: currently not permitted, but it will ultimately be allowed at designated on-site premises with the proper license. Open container: consuming marijuana as a driver or a passenger in a motor vehicle is illegal, as well as is possession of an “open container” of marijuana. This prohibition applies to boats and airplanes in addition to cars. Minors: although no one under 21 may possess or consume marijuana, the punishments are greater for those under 18 and may include counseling and community service in addition to a fine. Legal Penalties – What is still illegal? Along with expanding the legal use of marijuana, Prop 64 has reduced the penalties for criminal offenses involving marijuana essentially across the board. For instance, the above-referenced offenses are typically dealt with as infractions with monetary sanctions as the only penalty. You cannot possessing more than one ounce or dried marijuana, or 8 grams of concentrate. You can’t have more than six plants. Potential penalties for these misdemeanor marijuana criminal offenses are of up to six months in jail and/or a fine of $500. Similarly, related offenses such as cultivation, transportation, and possession with intent to sell have been downgraded to misdemeanors from felonies, absent aggravating circumstances. How does Federal Law apply for California Marijuana Users under state legalization? Despite the passage of laws in California and the majority of other states easing restrictions on marijuana use, the federal government considers it an illegal substance. Under the Controlled Substances Act, marijuana is classified as a Schedule I drug, which means it is considered highly addictive with no medicinal value. Heroin, LSD, and Ecstasy are also classified as Schedule I. Under the Supremacy Clause of the US Constitution, where state and federal law are in conflict, the Feds have precedent. It is therefore theoretically possible that the federal government could choose to enforce its laws regarding marijuana in California, but currently, it seems unlikely. Federal prosecution is typically reserved for large-scale operations involving transportation across state or international borders. One exception may be if a person is found to be using marijuana on federal property within the state of California, such as in a National Park. Despite the decriminalization for adults under Prop 64, a landlord can ban marijuana use for his or her prospective tenants subject to other discriminatory laws, and employers can make non-use of marijuana a valid condition of employment. As Prop 64 becomes fully integrated and the commercial aspect of adult usage of marijuana is implemented, there are certain to be new legal issues and concerns arising.